Embark on this sweet escape into one of our baking workshops in Singapore, because if you've been longing to start your own cake business, or hoped to entertain your guests with some stunningly delicious cake, then come and join us for a baking class in Singapore. Our baking workshops in Singapore cover a range of techniques to improve your baking skills from cake decorating classes and buttercream flower class to fondant cake baking class. We also offer exclusive Skillsfuture approved baking workshops. With a passion of mastering the art of baking, we bring together renowned bakers from around the world to our bake studio in Singapore so our students can have the opportunity to learn from the best in our workshops. Our bake studio in Singapore can accommodate up to 20 students and are scheduled through the year. So roll up your sleeves and together let us learn to make gorgeous artisan desserts for your next party or event! Click on the listings below to know more about our each individual workshops coming up. In collaboration with nanatang, instructor Clare from Dolce Cake Korea is back for the FORTH time in Singapore! 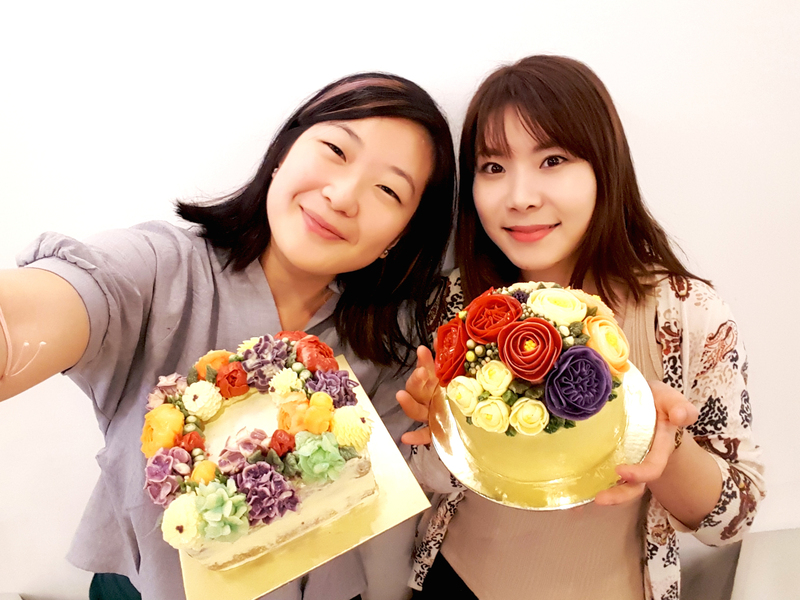 Her buttercream floral piping workshops are always popular and filled with happy students. This time round, we have bonus surprises for you! Clare is going to share with you her Signature French Macarons making in her workshops! Clare is also the owner of Laseulla Macaron shop in Korea. It is so delicious and popular that she can sell average 500pcs of handmade macarons everyday! Her Macarons are generously filled with her handmade fillings and big in size unlike the ones you buy in Singapore. They are super instagram-friendly as well! Be part of our upcoming buttercream flowers x macarons workshops and learn something new and beautiful! To those who loves realistic-looking and glossy flowers AND at the same time want to learn to make Korean-style macarons, book Your Spot below before they run out! Have you always been an admirer of our cakes? Now it's your chance to learn from the Head Cake-tist of nanatang, Serena! Spend a fruitful moments with her and learn to create her signature designer cakes and desserts! Serena has been in the caking industry since 2013. You will be guaranteed to learn lots from her! Other than baking, cake is all about the design and looks. Who wants to eat commercial looking cakes when you can have a beautiful handcrafted one? Enjoy and relax in her classes while all the materials are prepared and included in every course. Open for all, with or without any baking background. Upgrade your skills to another designer level! Search on instagram @serenanatang / @nanatangbakes to see her amazing work! Founded by two best friends, Valeri and Christina, who share the same passion. From that “sweet accident” when they discovered their talents, the duo never stopped believing in the power of BUTTERCREAM. They have persevered and continuously innovated. From that very humble beginning, their company has now grown from strength to strength and has become the multi-award winning and world renowned company that we all know today. Awards that we can named such as creative award at Cake Master, Finalist for Best Book award at Cake International. Buttercream is as amazing as fondant! what you can create is out of your imagination! Be sure not to miss these buttercream masterclasses! Lumascake is back again Singapore with us in May 2019! We are excited for another round of fairytale stories! 'The creators behind Luma’s Cake - Noralid & Javier – started all because of their love for their boys, “LUcas” and “MAthias". The very first cake made was on November 18, 2011 for Lucas’s first birthday. From then on, each of their son’s birthdays was an opportunity to improve with one objective: amaze them! Noralid is a petroleum engineer and pastry aficionada, while Javier specializes in marketing and also a classical painter. It was logical that their two passions would meet. In 2017, motivated by their friends, they decided to embark on the adventure to fulfill the dreams of many little ones by creating handcrafted personalized cakes. The result? A history, born of love, sweetness and art. Each of their cakes is created at home as a Sunday hobby. In each creation, quality ingredients and flavors were chosen, and 100% hand-made artistic compositions, 100% unique, all with great care of details. Now, it’s your turn to create these dream cakes with the artisan cake crafter! Sign up before all slots are gone. Welcoming back our favourite instructor and World renowned Cake Artist, Carla Puig to Singapore this June! She is internationally recognised for her realistic chocolate sculptures creations. Winning countless number of awards, with the most recent at Cake Masters Awards 2017 - Sculpted Cake Award Winner. Her classes were fully packed last year. Be sure not to miss her workshops again this year! Learn from the very best! Sign up early with us. Search on instagram @carlapuig_sugaratelier to see her amazing creations! Singapore welcomes back our awesome instructor, MARC SUAREZ, an award winning cake designer based in Barcelona, Spain. Marc specializes in creating hiper realistic modelling sculptures, contemporary wedding cakes and gravity defying cakes. 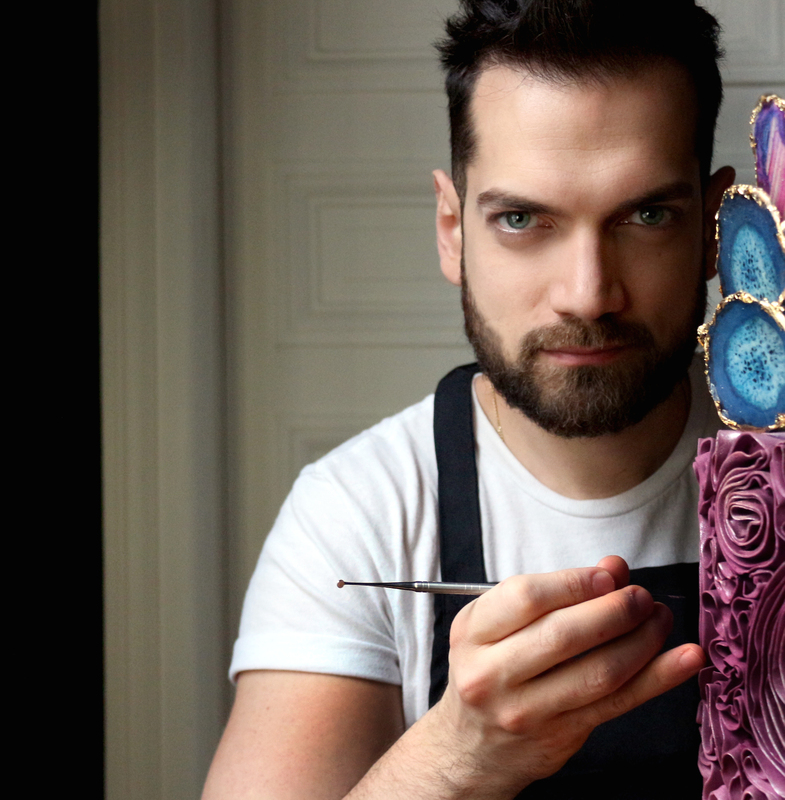 His Brand, Le Doux Collage, was set up 5 years ago, aiming to experiment, develop and share his latest cakes and cake decorating techniques. Marc has taught more than 600 students all around the World; including 3 workshops he ran in Singapore 2018! he is an experienced and professional instructor that REAL CAKERS should not missed. Never Ever Underestimate the young and potential! We are very amazed with Candy Gunawan. She is very professional and determined even though she is young. She graduated from Le Cordon Bleu New Zealand with Bachelor of Culinary Arts and Business in 2015. 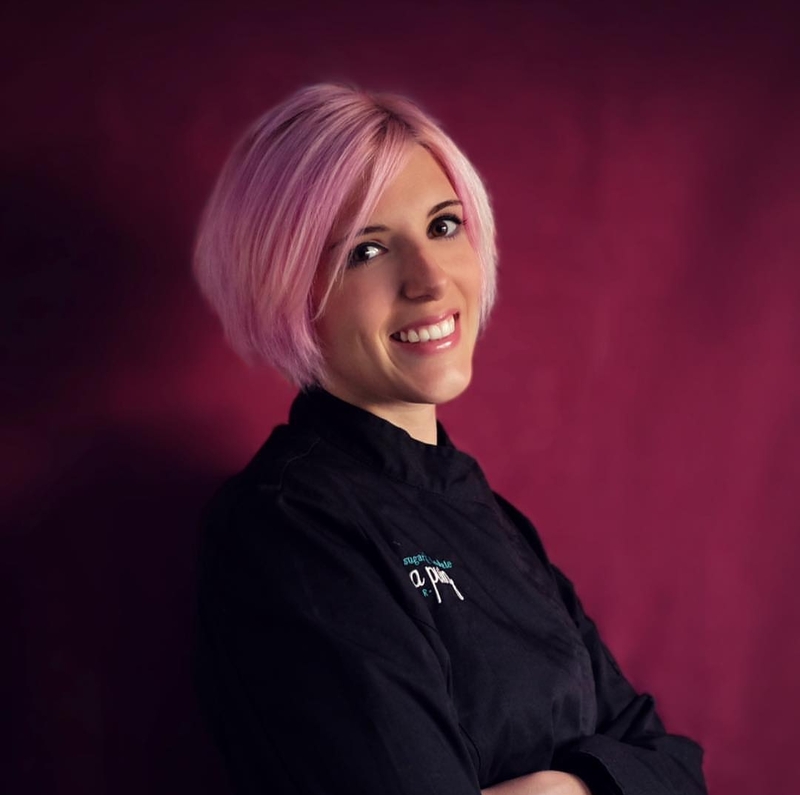 Her experience profile doesn't lose out to any other pastry chefs. in contemporary modern French Pastry. 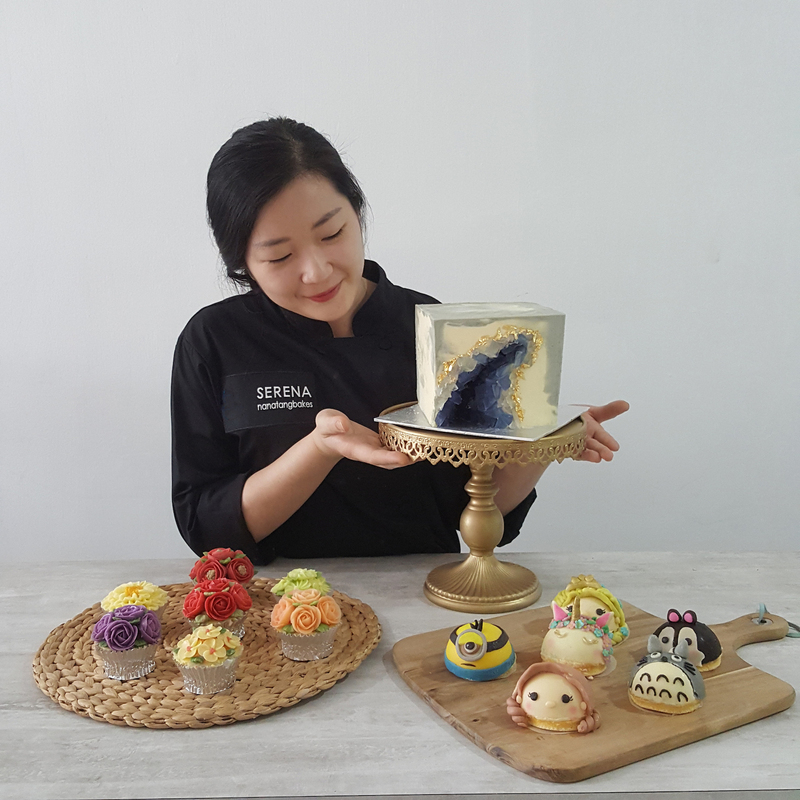 She started her online cake business since 2017 in Indonesia. Believing in simplicity, Candy simplified many of her recipes and work flow; so as to make it easier to do and follow, which is efficient and productive especially for home bakers who are lacking of resources.